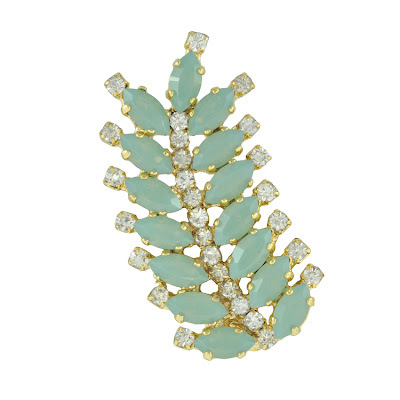 Ear cuffs are the latest accessory craze to hit our hotlist at Sophie's Closet HQ. Eccentric or elegant, embellished or feathered, whichever ear adornment you choose, you’ll surely soar in this season’s style stakes. Clips around the ear were awash on the AW13 runways, with Dries Van Noten, Roberto Cavalli, Chloe and Moschino Cheap & Chic just a few of the designers donning the key trend. 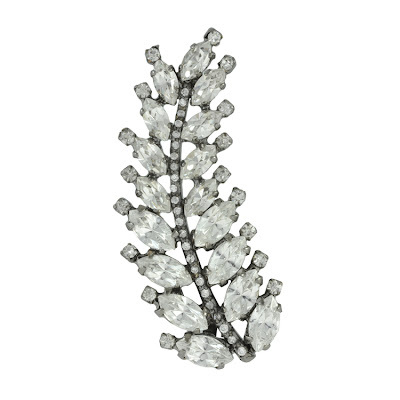 As always, we are pleased to bring you a sensational selection of outfit-enhancing ear cuffs from the acclaimed New York designer Joanna Laura Constantine. 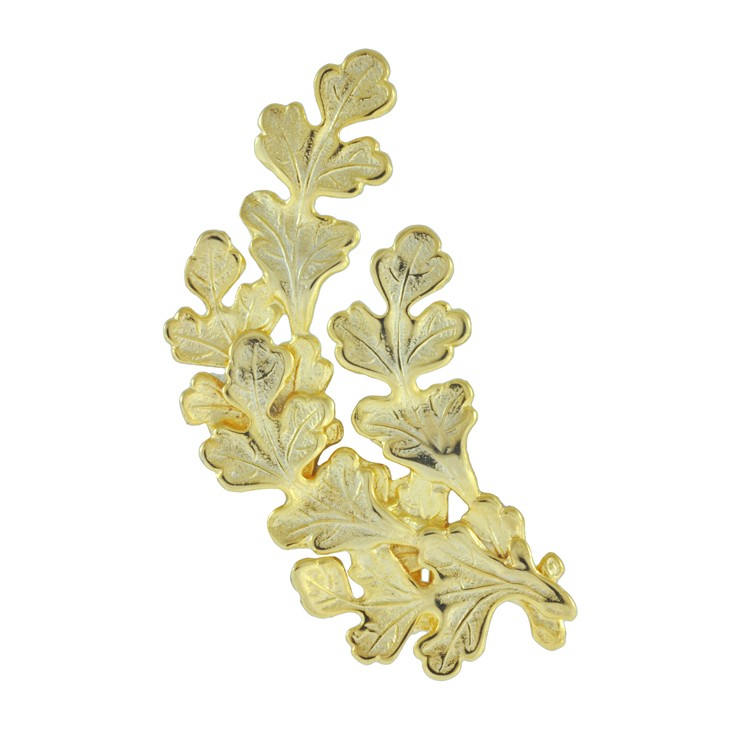 A covetable clip-on comprising 18K gold plated frame. Featuring an 18K gold plated outer and post back for pierced ears. Gunmetal plated enhanced with Swarovski crystals and clip-on fastening. 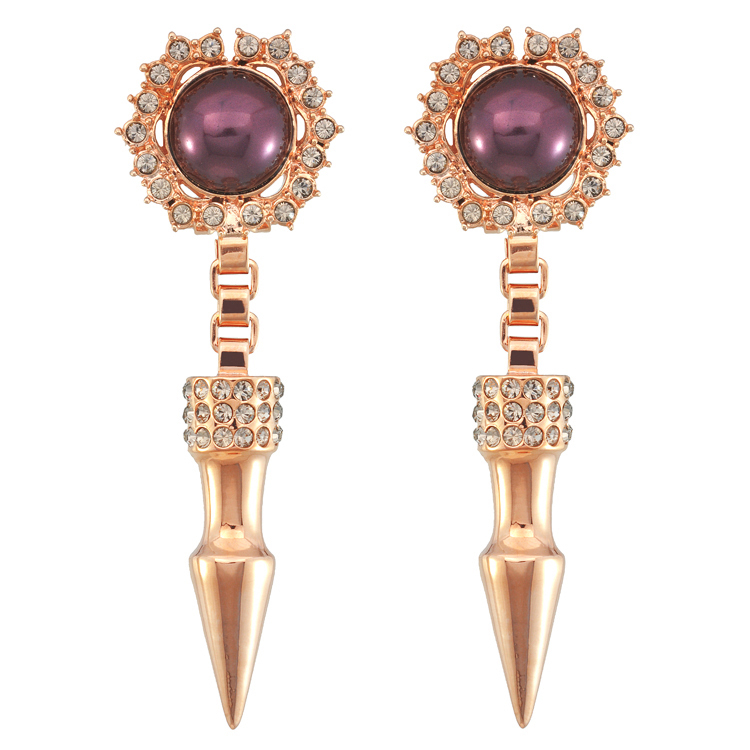 Gunplated with gunmetal plated exterior, Swarovski crystals and post back for pierced ears. Also seen on style-setter Myriam Fares. 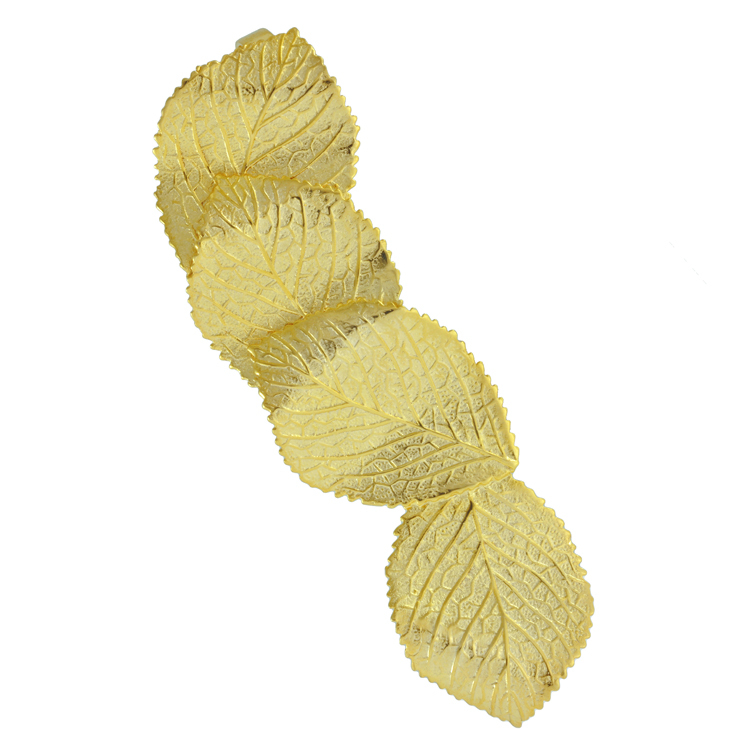 Visit again soon for more up-to-the-moment trend reports and our latest product news. As the punk trend grows ever more popular, its anarchic spirit is infused into accessories, onto shoes and all over leather separates. Not only was punk a key theme on the AW2013 runway shows with Chanel, Saint Laurent and Versace just a few of the designers embracing the trend, the style set also know how to rock punchy punk (we’re talking influential fashionista’s Rita Ora, Pink and Jessica Alba). Stand-out spiked necklaces and bracelets add edge and a quirky-cool dimension to every ensemble, plus punk is always appealing and contemporary. To bring revel references into your new season style, here are some spiked jewels that are sure to get the sartorial seal of approval. 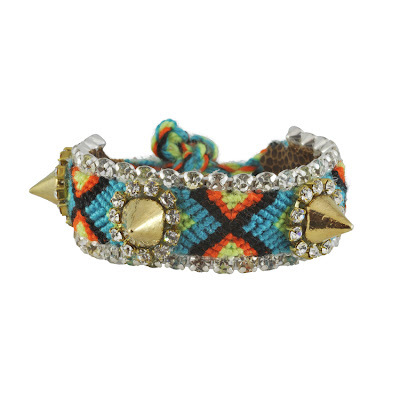 Grunge meets girly glamour with this stunning spikey Punk Princess piece. 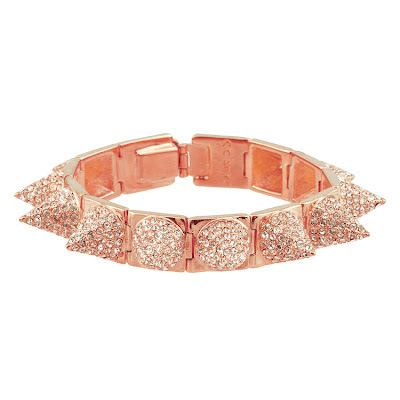 Crafted from 18K rose gold plating and Swarovski crystals, it’ll lend a tough-luxe accent to all your attire. 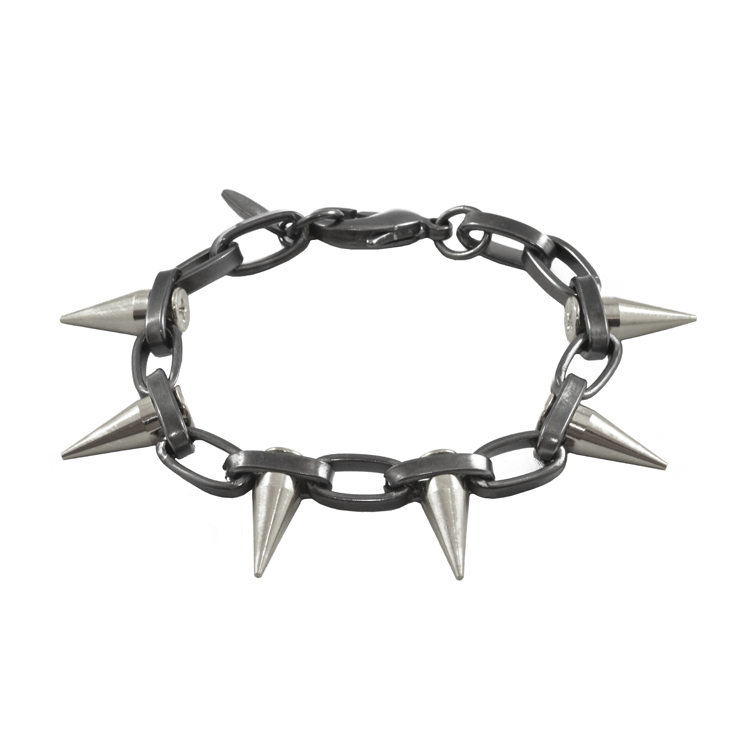 For a classic rebellious vibe, infuse your outfits with punk power pieces such as this Joomi Lim Gunmetal Chain Bracelet with Single Spikes. Edgy and androgynous for an of-the-moment modern update. For a subtle way to adorn spikes, try these eclectic Maxi Large Pave Spike Pearl Earrings. The offbeat jewels and adornments will add instant drama to upgrade all your day or after dark looks. 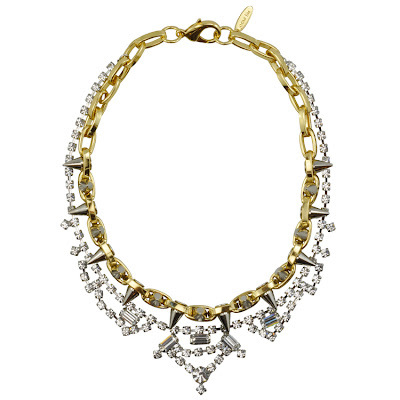 Necklaces don’t come more statement-making and trend-topping than this Joomi Lim Metal Luxe Crystal Spike Necklace. Meticulously made from a 16K gold plated chain and Swarovski crystals, it’ll wow whenever. 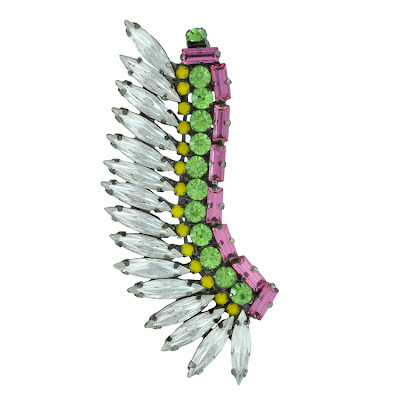 Blending color and glitz with craftsmanship and spikey embellishments, this covetable cuff will ensure everyday allure. 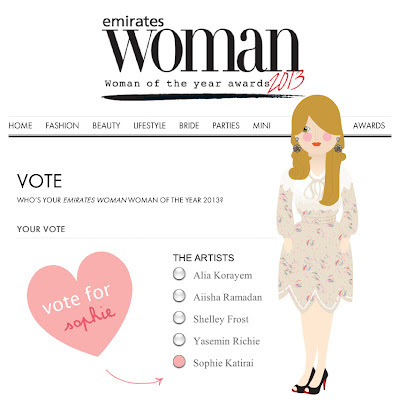 This year Sophie Katirai, the founder of sophiescloset.com has been nominated in The Artists category and we need your vote to win! "Why The Artists category?" you may ask, well the women who express their passion through art, design and performance are all placed under The Artists. Sophie's passion for costume jewelry is undeniable and we hope you can help to reward her for bringing such beautiful jewelry to the Middle East by simply clicking here and casting you vote.